Johnnie Walker is a brand of Scotch Whisky owned by Diageo and originated in Kilmarnock, Ayrshire, Scotland. It is the most widely distributed brand of blended Scotch whisky in the world, sold in almost every country with yearly sales of over 130 million bottles. 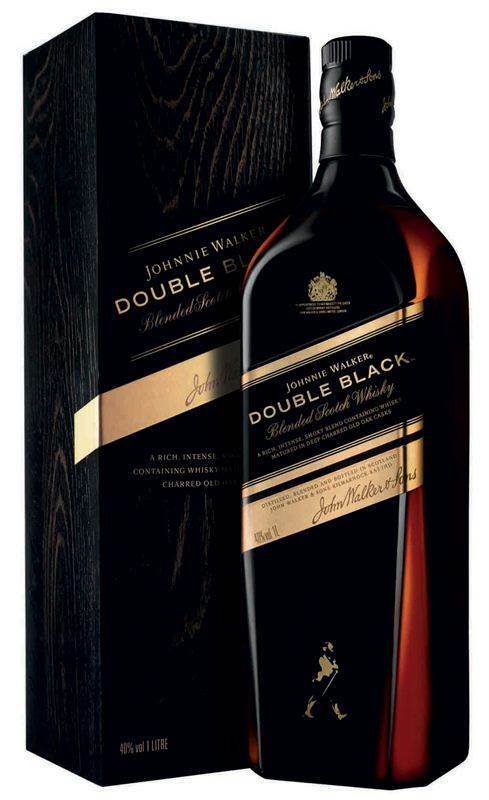 Johnnie Walker Double Black (70cl / 40%) is the exciting and revolutionary new addition to the Johnnie Walker range. Double Black contains everything you already love about Johnnie Walker Black Label, with the intensity and complexity amplified. With the addition of deeper, darker malts from the Scottish west coast and the islands, Double Black delivers a unique smoky finish that sets it apart from the pack. Aromas of fresh citrus and vanilla come to the fore immediately. The best way to release this great nose is to add a small drop of pure water. On the palate, flavours of dark raisins, orange, clove and that unmistakable long, lingering, smoky finish.